Beijing got a facelift for the 2008 Olympics, so if you're visiting these days, you're taking advantage of the vastly improved infrastructure. Unfortunately, the snarled traffic is still there and, often, choking pollution. That said, it's in Beijing that you'll find some of China's most historic and beautiful national treasures. You could spend weeks seeing all there is to see in Beijing, but if you only have a few days, make the most out of them. Our suggestion is to book a few tours. There are pros and cons to this approach, but we find it's a great way to sight-see and glean the history out of a place where the guidebooks leave you short. Our recommendation is to combine independent travel with private or group sightseeing to make the most out of a short trip to Beijing. Booking tours ​is very easy through your hotel in Beijing. Once you have your reservations, contact your hotel and they will help you set up a group or private tour. But many hotels have a tour menu that can be booked the night before, so ask at the concierge when you check in. Lunch is always part of the day and it's generally bad westernized Chinese food. Start with the Beijing Subway. If you can get where you're going by the subway, you'll be able to avoid traffic and even if there's a bit of a walk at the end, this will probably save you time. Taxis are another good option and they are an inexpensive and easy way to get around—if you can snag one and you don't mind the traffic. Be reminded: most drivers don't speak any English, so you usually have to show them where you're going, for example, on a Chinese map or with a business card. Hotels will have "taxi cards" for you to keep with you to get back and they usually provide a little card with the major sights listed in Chinese as well. Be sure to pick a few up for your bag. There are tourist maps available in the hotels and Beijing is easy to walk around too, although it is very big. The subway is very easy to navigate in Beijing. This is a good option during peak traffic hours and it's also much less expensive than an already inexpensive taxi. The following itinerary assumes you have three full days. You can obviously tailor this itinerary down if you have less time. A good first-impression destination for Beijing, and an infamous one at that, is Tian'anmen Square. There's not much to see on the square itself—it's really just a huge plaza. But it gives you an inkling of the sheer size of monuments—even a public plaza—that Beijing offers. Of course, millions of people paraded through the square on occasion under Chairman Mao, and the Square became famous in the West in 1989, as the news broadcast the army clashing against pro-democracy demonstrations. Now it's a place for kite flying and strolling—bikes must be walked across the square. The square is surrounded by heavy Communist monuments such as the Chinese Revolution History Museum and the Great Hall of the People. Worth a stop if you have a vague interest in seeing embalmed Communist leaders is the Mao Mausoleum. There will be an enormous line to get in so you'll have to wait, and make sure to bring your passport. The line moves fast; people are shuffled quickly past the Chairman's embalmed body. It's your first day and if you can't stop sightseeing to eat, bring along some snacks or a packed lunch from your hotel. There are plenty of spots to stop and rest in the Forbidden City. There aren't a lot of lunch choices once you're inside. Stop in the snack bar or restaurant at the Great Hall of the People before heading off to the Forbidden City. From Tian'anmen Square, the large portrait of Chairman Mao overlooking the Square from Tian'anmen Gate is hard to miss. Make this your next stop as you walk over to the Forbidden City, also commonly called the Palace Museum. Upon entering from the south, you'll make your way through the maze of palaces and pavilions that housed Ming and Qing emperors until 1911, when the last emperor, Pu Yi, abdicated. The exit is on the north side. Tian'anmen Square and the Forbidden City take a solid morning to early afternoon. If you go to the mausoleum, it's probably a whole day. If you get finished with the Forbidden City and feel like seeing more, Beihei park is a few minutes walk from the northern exit of the Forbidden City. It's got a few interesting temples and sights and is easily combined with Tian'anmen Square and the Forbidden City. Walking through Beihai Park is a nice way to unwind from the massive historical sights you've just witnessed. 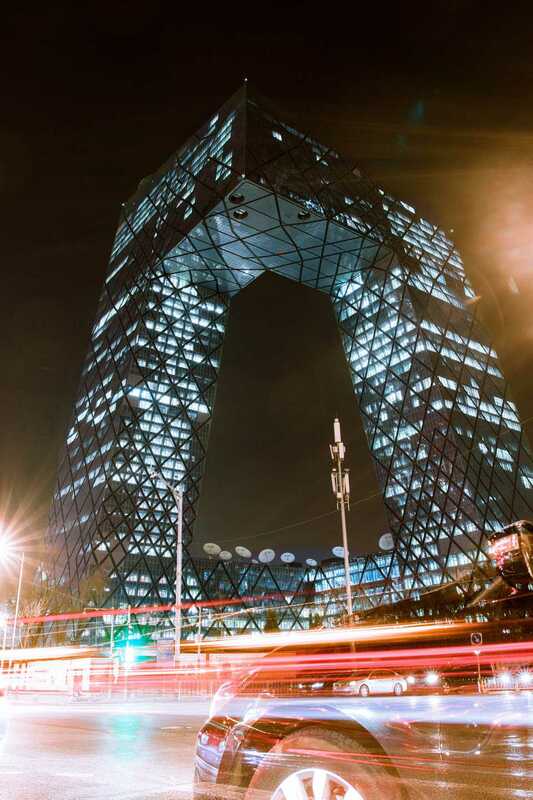 It's your first night in Beijing and you're probably exhausted from all the walking and sightseeing. Don't let this stop you from sampling some traditional Beijing cuisine. Nip back to the hotel for a shower and a quick rest and then go out for some delicious Beijing Duck—it's the specialty in Beijing, after all. If you're really tired, your hotel probably has a restaurant that serves it. Otherwise, ask for a recommendation of somewhere nearby. Duck de Chine and Made in China are exceptional places to try this Beijing specialty. You can certainly see the Great Wall on your own. You'll get to spend as much time as you want on the wall and you'll get to see a less-congested part. We recommend visiting the Mutianyu section. The views are awesome and the wall itself is in great shape. You can walk for miles, though some of it is very steep. After your visit to the Mutianyu section, ask your guide to stop at one of the local trout restaurants for lunch. Fresh trout restaurants line the roadway to the Wall and the gimmick is that you catch your own. The food at these restaurants is very inexpensive but quite good. Another lovely option for a late lunch or early dinner is the Schoolhouse Mutianyu. The compound is part lodging part restaurant, set just down the mountain from the Great Wall. You'll find locally sourced ingredients as well as a lot of homemade items like house-cured trout on the menu. After the Great Wall, most private and group tours will head to the Ming tombs. There are thirteen of them and different tours go to different tombs. Most go to Dingling, the tomb of Emperor Wanli (reigned 1537-1619). You'll visit the Sacred Way, a long path leading to the tombs flanked on both sides by mythical and real stone animals as well as the tomb compound itself. The Great Wall and Tombs lie 1-1.5 hours outside Beijing. You most likely had a little nap on the way back from your Great Wall and Ming Tomb adventure, so surely you'll be rested enough to splurge on a fancy dinner at one of Beijing's finest destinations. For a nouveau Chinese dinner that will leave you stunned, try the Green T. House, or for a delicious fusion meal in an incredible setting, try Temple. Get an early start and get to the Temple of Heaven. The temple complex is surrounded by a large park and many local Chinese people go and just hang out there. It's fun to see oldies playing cards and singing traditional songs. The Temple of Heaven was the most important temple for Ming and Qing emperors. Once a year, the emperor came to worship the heavens and pray for a bountiful year. An architectural rendering of heaven (round) and earth (square), the temples are circular with square bases. Key sights are the Round Altar, Echo Wall, the Imperial Vault of Heaven and the Hall of Prayer for Good Harvest. Public transport to the east gate, bus no. 807 or no. 812 from just north of the Chongwen Men metro stop (209, exit B) to Fahua Si. The best approach is from the south gate. Taking a taxi is a good option. After your Temple visit, skip over to the Noodle Loft for an adventure in Shanxi cuisine, which is based on, you guessed it, the noodle. The Noodle Loft is a fun diversion in noodle culture as well as a pit stop in itself. (Dawang Road #20, tel 010 6774 9950). Get there from Metro stop - Dawang Lu (123) or taxi. After a nice lunch, grab a cab, it's a bit of a hike to the Summer Palace, an enormous park filled with temples, pavilions, theaters, bridges, and walkways. The Palace was originally an escape for the imperial court to cool off in the hot summer months that baked the Forbidden City. Abandoned after a while, Empress Dowager Cixi renovated the buildings starting in 1888. Supposedly her use of funds meant for the imperial navy eventually cost China the palace as well as sovereignty over many of her ports. After the Boxer rebellion, British and French troops destroyed the palace and forced China to concede to opening up for trade. After 1949, renovations again took place and now the place can be seen in much of its original grandeur. The Summer Palace is lovely to just take your time and stroll. Climbing the hill takes you through vividly painted corridors to the main temple, where you will have beautiful views of Kunming Lake. Spend the afternoon people watching and walking through the park.